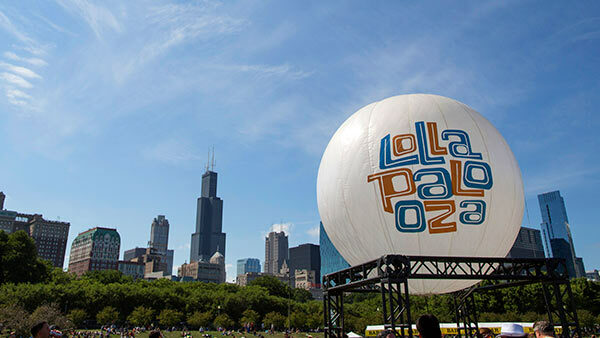 CHICAGO (WLS) -- The Better Business Bureau put out a warning Thursday for Lollapalooza fans about fake tickets being sold. The festival kicks off in just a few days in Grant Park, and the BBB is calling fake tickets to Lollapalooza the biggest scam of the summer. "You've got to be very careful where you're buying tickets from, we suggest licensed ticket brokers only," said Steve Bernas of the BBB. "You buy from Craigslist, you never know." Those with fake tickets at the gate will not be let in. Lollapalooza is sold out. People who have scored tickets and are heading to Lollapalooza this weekend will get some help from Metra and CTA. There will be extra bus and train service for the weekend, especially to and from Grant Park. Metra is also offering a special $10 unlimited ride train pass for the first two days of the festival. For more information on Lollapalooza service offered by Metra, visit metrarail.com. And for information on service offered by CTA, visit transitchicago.com.